Accidents involving pedestrians are just as common as other car accidents. However, when a pedestrian is struck by a car, severe injuries are often the result. Weather and road conditions, as well as driver fatigue and negligence, can all contribute to a pedestrian accident. Injuries that result from pedestrian accidents range from soft tissues damage, bruising and cuts to more devastating outcomes such as brain trauma and damage to the spinal column with some accidents having a fatal outcome for the pedestrian. Pedestrian accident victims will usually require emergency medical care as well as lengthy, often costly rehabilitation. Victims and their families can quickly become overwhelmed by medical bills, lost wages and other related expenses that create undue financial and emotional stress. The law governing pedestrian accident claims is the same legislation that governs motor vehicle accidents, except for one important factor. In pedestrian accident claims, the at-fault party is subject to a reverse-onus, meaning the at-fault party must prove their innocence. This major difference can mean that pedestrian accident victims could potentially be entitled to substantially higher amounts of compensation. If you were injured as a pedestrian, you deserve to be compensated for your injuries. Our experts at RPC Law in Vaughan, Richmond Hill and Georgetown have successfully represented victims of pedestrian accidents from all over Ontario, and have recovered millions in compensation for victims and their families. 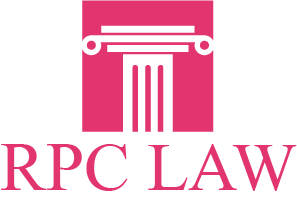 Contact RPC Law today for a free, no obligation consultation and put our professional legal team in your corner. We will ensure that you are treated fairly and that you receive all of the compensation to which you are entitled. Don’t suffer in silence. Instead, call RPC Law now, and put the top team of personal injury lawyers on the case. We will ensure that justice is served.